A ray of hope has rekindled among Fazilka residents as the railway authorities have decided to construct an underbridge knows as Limited Height Subway on the busy court road railway crossing in nine months. The counsel for the Union Government and Railway authorities had stated in the Punjab and Haryana High Court on December 4 that the construction of the underbridge at level crossing number B-89 in Fazilka would be completed in nine months. The Punjab State Power Corporation Limited (PSPCL) has stated that 11-kV power lines passing over the railway crossing have been removed for hassle-free construction of the underbridge. Gurjant Singh of Odian village in Fazilka had filed a PIL in the Punjab and Haryana High Court last year for the completion of the underbridge. A Division Bench of the Punjab and Haryana High Court comprising Chief Justice Krishana Murari and Judge Arun Palli disposed of the case in terms of statement made by the counsels of respondents for completion of the underbridge in nine months. The work on the underbridge had come to a standstill two year ago as the state government failed to deposit the requisite amount of Rs 50.79 lakh for removing the electricity cables. Ultimately, the Municipal Council deposited the amount with the PSPCL resulting in removing the power lines. The railway crossing has to be closed at least 22 times a day, causing traffic jams. The residents demanded that the construction should be started immediately the offer hassle-free movement to commuters. Once completed, the LHS would connect thousands of residents of Civil Lines, Jhule Lal Colony, Teachers' Colony, Freedom Fighter Road, Improvement Trust Colony and MR Enclave, besides the residences of Deputy Commissioner, Senior Superintendent of Police and several senior judges with the main town. Government High School (RMSA), Hira Wali, in Fazilka is not just another school. All its students scored impressive grades in matriculation, the school's science model was adjudged third at a state-level contest and it topped the district in the Swachh Bharat campaign and the state in Parho Punjab drive. The school, that has creditable infrastructure, religiously adheres to its calendar on co-curricular activities, points out principal Dr Navjeet Kaur Sran with pride. She has every reason to feel so. With 83.5 per cent marks, her school has been ranked number one among the 1,740 government high schools evaluated by the Education Department. Government Senior Secondary School, Dabwali Rahurian, in Muktsar with 82.6 per cent marks has been adjudged the best among the 1,886 senior secondary government schools in Punjab for over-all performance. 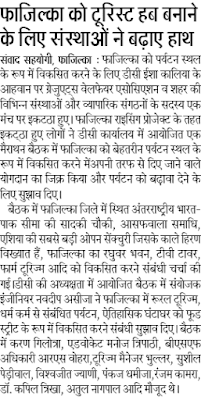 Humbled, its principal Hansraj Chauhan credits the school staff as well as the village residents for the success. "All our Plus Two students scored more than 60 per cent marks. We faced staff shortage earlier but that problem has now been addressed. We have a good library and science lab. The school lawns and playgrounds are well-maintained. The school building is given a fresh coat of paint regularly," he says. No special incentives have been announced for the two winning schools. "The department will submit the report to Education Minister OP Soni and then take a call in the matter," Deputy State Project Director Manoj Kumar told The Tribune. The department is in the process of compiling the grading list for the state's primary and middle schools. The data on all schools is expected to help the government in policy-making. Rains in Urban Punjab : The Boon becomes Bane? As per the affidavit filed by the Director, Urban Local Bodies Punjab, out of 10 corporation cities of Punjab, 4 of them like Hoshiarpur, Patiala, Pathankot, and Phagwara have no provision for the roadside stormwater drains. In Smart cities like Ludhiana, Amritsar, and Jalandhar only 10-11% of the areas have provision for the stormwater drains. Only S.A.S. Nagar Mohali has stormwater drainage system but not being maintained. In the rest of the cities, where the stormwater drain is available, we Municipalities have connected it with sewerage system. We are otherwise lucky that we are getting adequate rains, but the way it is being managed; these 60 rainy days are a nightmare for the traffic as well for the life of road pavements. Ludhiana alone spends about 60-70 crore annually to repair roads after rains. In the last 10 year, no money has been spent in these cities to provide adequate stormwater drainage facilities, whereas the large sum of money was being spent to repair the same roads every year after rains. The scenario is the same in all cities of Punjab. Department of Local Government, Punjab manage 163 cities and towns and they don't have single drainage engineer with them. Inadequate road drainage arrangements put enormous pressure on Traffic Police to manage traffic during rains. Now, if we talk about the 145 towns in Punjab, 124 have water supply system based upon tube wells. 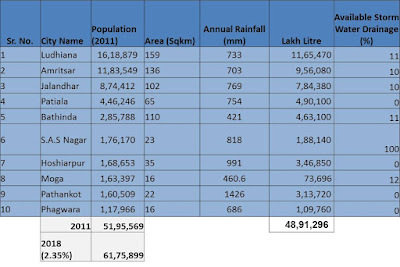 Now, if we look at the calculations for 10 corporation cities of Punjab, about 62 lakh people live in these 10 cities. 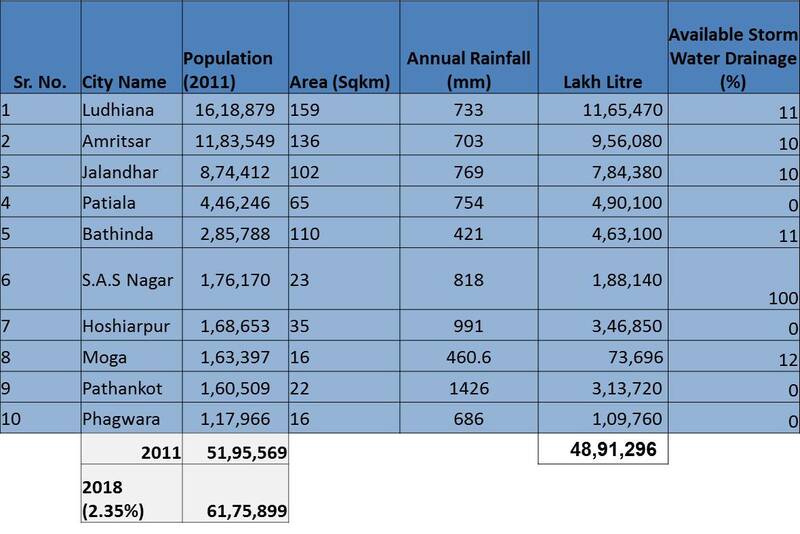 Geographical area and annual rainfall history wise, these cities received 48,91,296 lakh litre of rainwater annually. As per the Bureau of Indian Standards, IS:1172-1993, a minimum water supply of 200 litres per capita per day (lpcd) should be provided for domestic consumption this means, our 10 corporation cities require approx. 45,000,00 lakh litre of water annually. If we manage this free rainwater through a network of the drains and treat it not only drinking water need but we can use the same for non-drinking purposes like construction-related activity, water requirement to manage green belt of the city. Mother Nature has perfect and smart calculations for the water requirement and supply arrangements for our cities. Just because of the poor management of rainwater by mighty municipal corporation officers and engineers, each rain ends up putting financial burden as well inconvenience. Honorable Punjab and Haryana High Court also issued serious directions in this regards (Interim Order under CWP 17530 of 2010 dated 3 November 2017), but no action. Average 60 days of rains are giving us sufficient water for the whole year, but we are wasting it. We are draining out groundwater for our daily needs and not recharging it back. Rainwater can be used to recharge groundwater through artificial recharge techniques. Overall with this kind of institutional will and kind of people managing our cities, Future is certainly dark. God Bless Us. 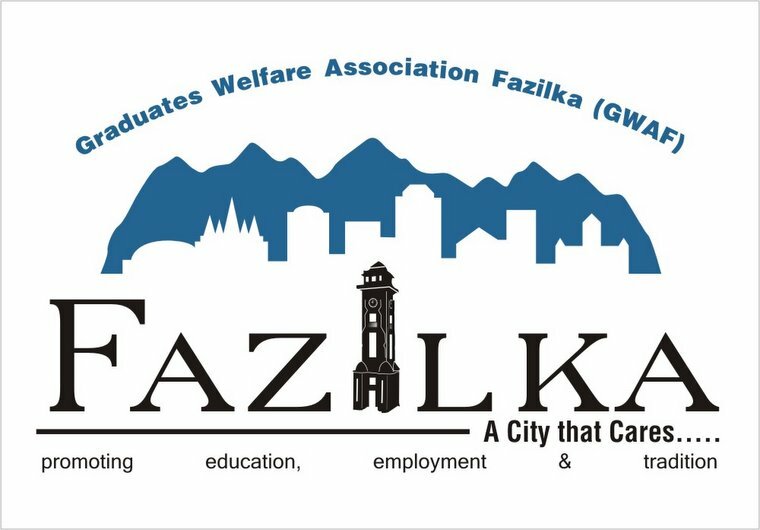 We, the small group of friends at Fazilka, coming from diverse fields of specializations like Psychology, Social Science, Medicine, Law, Artists, Poet, Writers, Police, law, retired army officers, educationist. have opened up this small online helpline "Love Fazilka" via famous confessional social media website #SARAHAH at https://lovefazilka.sarahah.com/. This is mainly to help people involved in drugs and would like to come out of it. Through guidance, counseling and expert advice we will try to provide you best of the solution. Feel free to share your problems, fears, query, seeking information or any kind of police or medical assistance you required. We are here to help you out. If you think any form of sensitive information, which can help to prevent drug penetration in our society, do share with us and we will make sure the suitable action be taken through concerned authorities. You don't need to reveal your identity and that's why we have chosen SARAHAH. Come Forward and let's help each other to create a better and healthy society. You can also post the information on the behalf of your friends and family members. Your Privacy is our Guarantee, Trust Us! Life is Beautiful So, let's Celebrate !! 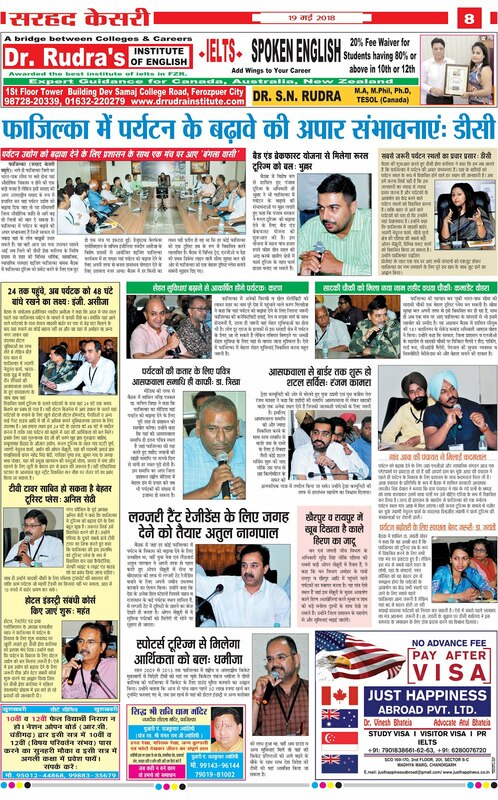 Ferozepur, June 29, 2018: Realizing the importance of organ donation, majoring of the residents of border town Fazilka, has pledged to donate their eyes after death. Today, Surjit Singh Madan, has become 400th Eye Donor in Fazilka through Social Welfare Society – a known social organization of the area, started three decades back and since 11 years involved in Eye Donation Campaign. Eye donation is an act of donating one's eyes after his/her death. Only corneal blinds can be benefitted through this process, not other Blinds. It is an act of charity, purely for the benefit of the society and is totally voluntary. It is done after death. 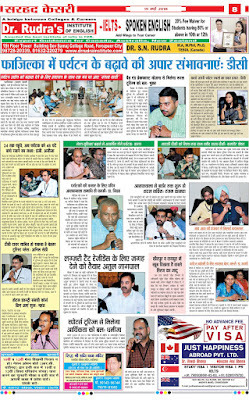 Speaking to media persons, Shashi Kant a senior member of SWC, Fazilka said, the eye donation has picked up the momentum in Fazilka with the sincere efforts of the society members to motivate the families in the event of any death. He said, Surjit Singh Madan son of Nanak Chand Madan, the resident of Gandhi Nagar, Mehtab Ganj Road Fazilka, has become the 400th eye donor in Fazilka. Sudesh Rani, daughters Arvinder Madan and Ritu Madan and son Harinder Madan contacted Dr.Manohar Lal Sukhija for eye donation on the death of Surjit Singh Madan. With the help of society members – Shashi Kant, Project Chairman, Ravi Juneja, Sandeep Aneja, Secretary, Sudhir Kalra, Rakesh Gilhotra, Avineesh Sachdeva the donated eyes were preserved safely. With the help of Mata Kartar Kaur International Eye Bank team, 800 persons have been transplanted the eyes successfully to see the colourful world around us. 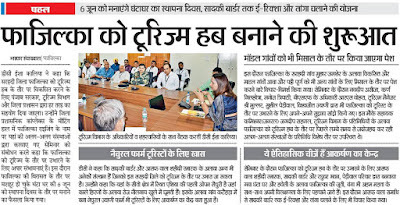 Shashi Kant President and Sandeep Aneja, Secretary said, irrespective of any age, the eye of any dead person can be collected by the expert team of the hospital within six hours and transplanted to the needy persons. Even the eyes of the dead persons, who has earlier been operated can also be donated for extraction of the cornea for transplantation. On behalf of the society, he also appealed to the society to make it a tradition to donate their eyes after death to give light to someone. The process of extracting the cornea and transplanting is done free of charges at Sirsa based Eye Hospital. BATHINDA: Aiming to make women open up to share their problems and thoughts for the betterment of society, the Fazilka district administration on Thursday started the concept of 'nari choupals' in the villages bordering Pakistan. Parts of Fazilka district are situated near the international border. The concept of choupals was started from village Puran Patti. It is also intended to involve women in government schemes and programmes especially Tandrust Punjab and drug abuse prevention officer(DAPO). Fazilka Deputy Commissioner Isha Kalia said that "the choupals or camps shall include interaction with women about their problems and health check ups as women from border villages do not come to district or sub divisional officers mainly DC or SDM and largely only their male members visit offices. Organising choupals is an effort to reach out to them and also to find out about people who are genuinely under distress in villages". Such camps will be organised any day in a week to understand problems of women and give them an opportunity to open up and share their thoughts, said the Deputy Commissioner. One incident Meera maa'm (Meeran Chadha Borwankar) narrated, when she was I.G. (Prison) and was in-charge of #Yerawada Central Jail , Pune also. To verify some information, as a part of surprise check, one night without prior information she straightway banged into the cell of Sanjay Dutt in Yerawada Jail. He was awake, and after seeing her, Sanjay Dutt in his welcoming tone said in punjabi " Madam Tusi #Fazilka to ho".....Anger disappeared and she was quite surprised with the kind of homework he did about her. 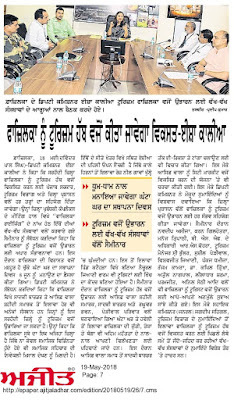 It is for the second year in a row that Fazilka district has won the award. Last year, Chak Janniser village had won. The Patti Puran Singh panchayat, with a population of 500, in the border district of Fazilka has bagged the 'Deen Dayal Upadhyay Panchayat Sashaktikaran Puraskar' (DDUPSP) on the 'National Panchayat Day'. The award is given to panchayats as recognition of their work in improving delivery of services to the public like maintaining records and holding gram sabhas. It is for the second year in a row that Fazilka district has won the award. Last year, Chak Janniser village had won. The nomination forms for the award are uploaded online. Prime Minister Narendra Modi and rural development and panchayat minister, Narendra Singh Tomar, gave away the awards at Jabalpur, Madhya Pradesh, on Tuesday. 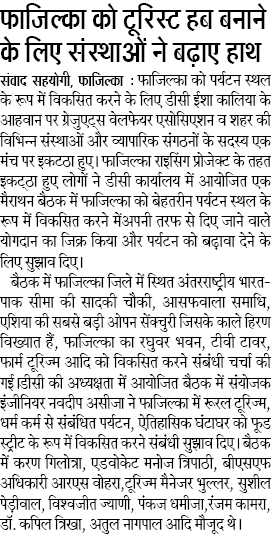 Bholu Wala village in Ferozepur district and Dalla in Moga also won the award. The village has a sports stadium, a community centre for public, facility of purified water and well-maintained roads. There is no liquor shop. Sarpanch Lakhbir Singh Dhillon said, "I am thrilled as our hard work paid off. There is a sports stadium in our village where block-level games are held. Purified water is provided to residents, through two RO systems in the village." Dhillon, who had a library constructed in the village, added, "We constructed a library in the memory of my late father, who was an avid reader." "The award will encourage us to work with more enthusiasm," said Manjit Kaur, a member of the panchayat. Deputy commissioner Isha Kalia also congratulated the entire village. Yamuna Expressway accident: Three AIIMS doctors, two of them women, died early today and four others of the same institute were injured in an accident on the Yamuna Expressway near here, police said. They were then referred to the AIIMS trauma centre, SP (Rural) Aditya Kumar Shukla said. The speeding SUV rammed the canter and partially entered into it, he said, adding three of them succumbed to injuries on the accident spot, while four injured doctors were rushed to a nearby private hospital for first aid. The deceased have been identified as Dr. Yashpreet Kathpal (25), who hailed from Fazilka in Punjab, Dr Himbala (about 25), a resident of Haryana's Yamunanagar, and Dr Wankhade (35), a native of Akola district in Maharashtra. According to Shukla, Dr Abhinava Singh (Bihar), Dr Cathreen Halam (Tripura), Dr Mahesh Kumar (Bihar) and Dr Jitendra Maurya (Madhya Pradesh) were later rushed to the AIIMS. Dr Wankhade was senior resident doctor, while rest of them were junior resident doctors (non-academic). According to doctors in the AIIMS, all the four injured are stable. One of the women suffered a facial bone fracture and hips dislocation and was operated upon, while another doctor suffered a wrist fracture. The rest of the two resident doctors suffered minor injuries including fractures in the spine, ribs and hips, they said. The SP said immediate help was provided as the information about the accident reached the police through dial 100. The canter driver abandoned his vehicle and fled, the police officer said. AIIMS director Randeep Guleria has expressed his condolences on the "untimely and unfortunate" demise of young resident doctors, according to a statement from the premier health institute. The director has also constituted a team to provide care to the injured and assistance to the families of the deceased, the statement added. Since last one week, Manipur has been into the clutch of violence which has resulted in the death of at least four people, including a civilian, a militant and two Army personnel. As per the reports presented by the Imphal Free Press on Friday, the army jawans have attained the martyrdom in separate incidents and the militant and the civilian were killed in separate incidents. In another incident on March 5, A soldier of the 13 Sikh Light infantry succumbed to his injuries at the Leimakhong military hospital in Imphal West. The soldier was injured in a gunfight with suspected National Socialist Council of Nagaland (Isak Muivah) in Tamenglong district. As reported by the Imphal Free Press, the incident took place when two teams of the infantry division had been patrolling in Nungadang and Molphei villages soon after they had got the reports of clashes between the NSCN-IM and the Zeliangrong United Front. The gunfight lead to bullet injury on the chest of Amarsheer Singh of Fazilka, Punjab, which later proved to be fatal for the martyred soldier. On the other hand, The Sangai Express reported that The NSCN (IM) (which is also in talks with the Central government to find a resolution to the Naga political question) denied its connection with the encounter on Friday. The report called the Army's accusations 'highly immature' and 'questionable' as the Centre is trying hard to find the solution for the Naga dispute, with the help of the Nagas. Though the violence against the security forces has not been revoked in the state and is continued while the patrolling team of 28 Rajput rifles in Chandel district along the Indo-Myanmar border, was in the ambush operation on March 6. The incident resulted in the casualty of one soldier and three others were injured after the militants from the United National Liberation Front detonated three improvised explosive devices. The martyred soldier has been identified as Abhijit Mondal who hailed from West Bengal's Nadia district. Dr. Harjit Singh Wander, former Professor and HOD Medicine at GMC Patiala died on Tuesday, March 6, 2018, at the age of 91 after a prolonged illness of sequelae of head injury. Dr. Harjit Singh Wander was born on 10th July 1926 in a remote village of Fazilka and studied in the village school till his matriculation. He graduated from Government Medical College, Amritsar in 1953 as the best graduate of the batch. In fact, he was a rare combination of being the best athlete of the college and the best graduate. During his premedical days, he was selected to the United Punjab Team and stood third in 5000 meters at the All India Athletic meet. He did MD in medicine in 1958 with a special interest in hematology. In 1962, he joined Government Medical College, Patiala as a consultant in medicine where he rose to become Professor and Head of the department of medicine and Vice Principal of the college. He was loved by his students for his passion to teach, hard-working and disciplined nature and wish to serve patients. He had 48 publications in reputed national and international journals to his credit and guided numerous MD thesis. He spent one and a half year as commonwealth fellow in Australia in the field of hematology. He retired from service in 1984 and continued to run charitable clinics and deliver public lectures at various senior citizen forums. He is left behind by his wife Amarjit Kaur; his son, Dr. Gurpreet Singh Wander, a renowned cardiologist and two daughters Dr. Gunjit and Dr. Navneet along with family and friends. 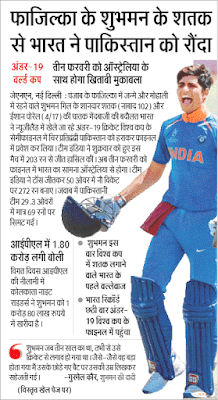 With an aggregate of 341 runs in the ongoing ICC U-19 Cricket World Cup, Shubman Gill from the town of Fazilka in Punjab's Ferozepur district has been the center of attention, even more than the skipper Prithvi Shaw, and has drawn comparisons with Yuvraj Singh. A heady mixture of silken grace and dollops of brute power has always defined Punjab school of batsmanship and the latest to have emerged from that stable is 18-year-old Shubman Gill. With an aggregate of 341 runs in the ongoing U-19 World Cup, the teenager from non descript town of Fazilka in Punjab's Ferozepur district has been the centre of attention, even more than the highly-rated skipper Prithvi Shaw. Strapping with sinewy wrists, Shubman's exciting strokeplay has earned him eyeballs and no wonder he went to Kolkata Knight Riders for a bid of Rs 1.8 crore at the IPL auction. It was around 10 days ago when India were playing their second group league game of the World Cup against Zimbabwe at Mount Maunganui, Shubman pulled rival pacer N Nungu for a six over deep mid-wicket. It was a short-arm jab but more interestingly there was an eerie similarity with a stroke that Virat Kohli had hit during his innings of 150 against England in an ODI in Pune, last January. In fact, the BCCI's official website compared both the strokes and it spoke about the skill and swagger which have been the hallmark of all great players hailing from North India. During the days of Mohinder Amarnath and Navjot Sidhu -- Punjab batting was more about grit and power but Yuvraj Singh married both. And now it seems that Shubman is ready to carry that legacy forward. And none other than his senior Punjab team captain Harbhajan Singh, who feels that he has got everything to succeed at the highest level. "Obviously, the more he plays quality bowling, he will improve. He will play in different conditions, go through phases where he would know how to score runs in difficult conditions. 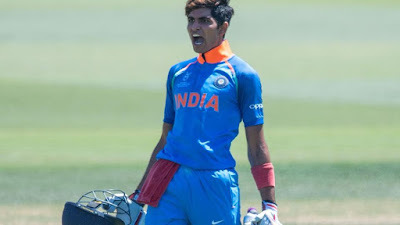 But make no mistake, I have seen 18-year-old Yuvraj Singh from close quarters, Shubman is as talented as Yuvraj," Harbhajan gave a fair assessment about the youngster. "His biggest advantage is that he has strokes that all modern day players would like to have. He can hit Dilscoop (the lap shot made famous by TM Dilshan), he can hit the ramp shot (guiding over thirdman), inside out lofted shot. "And the toughest of them all -- the pull in-front of square. Pulling through deep square leg is not difficult but you need to be tall with supple wrists to keep the ball down while pulling in-front of square. Shubman has that," says the veteran of 100 plus Test matches. In fact, Shubman himself said that he would like to play all formats when former England opener Robert Key interviewed him. "Adaptability is the key and I would like to play all three formats." Coming from an affluent family with plethora of farmland, the legend has it that Shubman's father Lakhwinder Singh had constructed a turf pitch on his farmland, where little Shubman practiced during his early days. 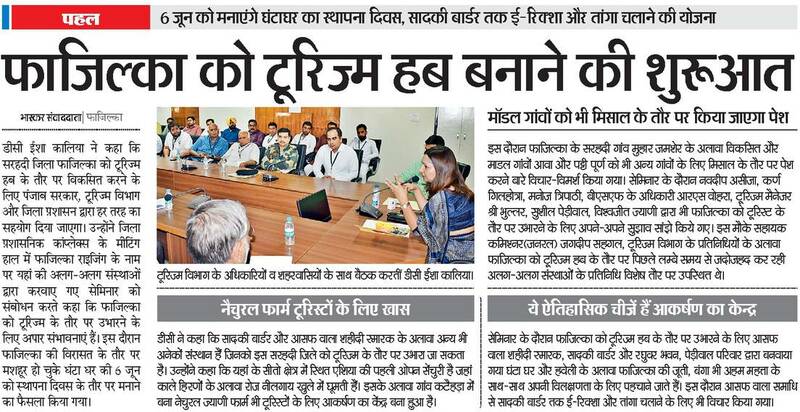 FAZILKA: Coinciding with the 69th Republic Day, Fazilka district administration launched the mission Sanjhedari(collaboration) with the Indian Army to provide training to youths. The first batch of 55 youth started their training under the mission on Thursday. 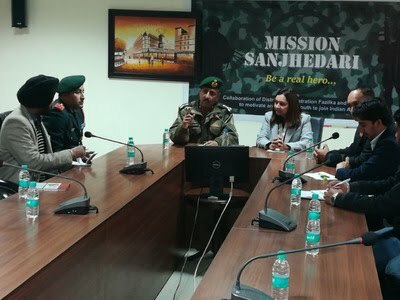 Deputy Commissioner Isha Kalia said that "Mission Sanjhedari has been launched to motivate the youth to join the military. Fazilka being a border district the presence of Army in the area has a deep impression on the youth of the area. The youths are well aspired to join the Army but it was observed that youngsters did not know how to proceed with its preparation to join Army". The Mission Sanjhedari will shape the dreams of the youth of this border district, she added. Deputy Commissioner said that in a first step we will find out the youths who want to join Army. Shortlisted candidates would undergo a preliminary fitness test conducted under the supervision of officers of CPYT Ferozpur. The selected candidates would be given one-month training for recruitment in collaboration of Army. She appealed to the youth of the district to have maximum recruitment in the Indian army so that they can contribute in the service and security of the country. Brigadier in Indian Army Gaurav Sharma said Indian Army is a mission. One can serve his country by joining this prestigious force of the world. He said there is no shortcut in life and one can achieve his goal only with hard work. The army would provide its full support to the project of district administration.